At least 15 civilians have been killed and dozens injured in an air strike on a village in eastern Syria held by so-called Islamic State, activists say. 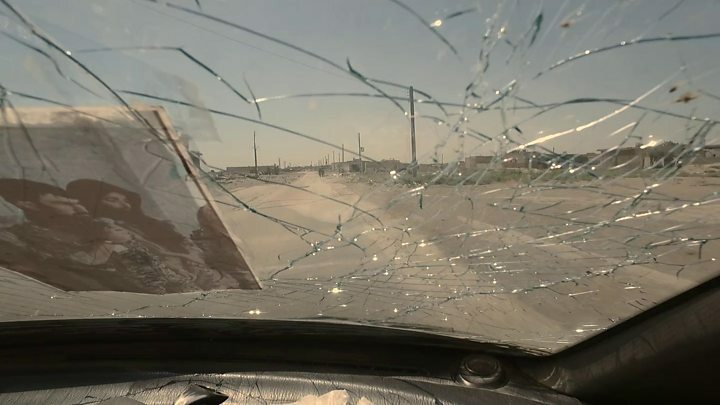 The DeirEzzor24 website reported that an unidentified jet had dropped cluster bombs on Dablan, about 20km (13 miles) south-east of the town of Mayadin. 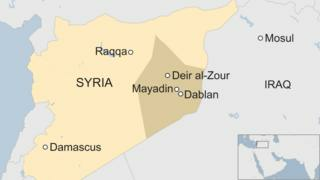 The UK-based Syrian Observatory for Human Rights put the death toll at 30. It comes only two days after a US-led coalition strike reportedly killed 42 detainees at an IS prison near Mayadin. The coalition confirmed it had targeted "IS command-and-control elements" in the area on Monday, but said the raid had been "meticulously planned" to avoid harming civilians. There was no immediate comment from the coalition on Wednesday's reported attack. The Russian and Syrian air forces also fly sorties in the region. Airwars, an organisation that tracks allegations of civilian deaths, said that as of 8 June, the coalition had killed at least 4,118 civilians and perhaps more than 16,000. DeirEzzor24 said the house of a person not connected to IS appeared to have been targeted, and that several nearby buildings had also been destroyed. Women and children were among those killed, it added, warning that the death toll was likely to rise because of the serious condition of some of the injured. Meanwhile at least 173 civilians and possibly many more have been killed in air and ground operations against IS this month in Raqqa itself, the UN's human rights chief said. As many as 100,000 civilians were trapped in Raqqa and were being prevented from leaving by IS, Zeid Ra'ad al-Hussein said. "Civilians must not be sacrificed for the sake of rapid military victories," he said. The intense bombardment of the city had reportedly left them "terrified and confused about where they can seek refuge", he added.